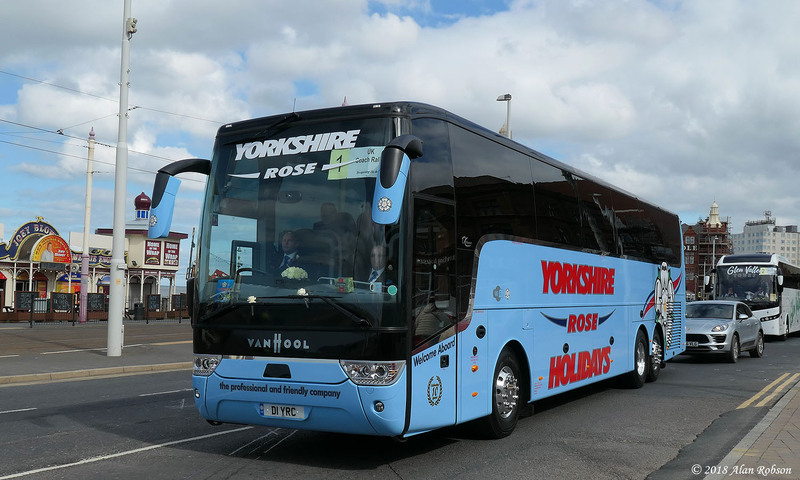 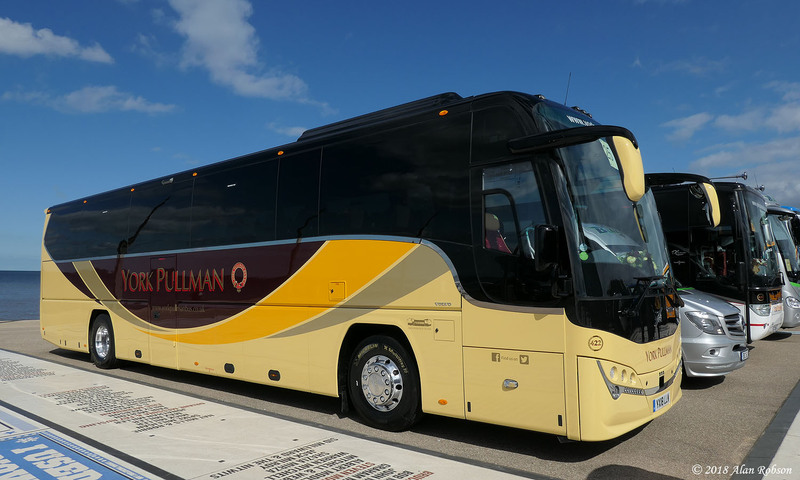 The 64th UK Coach Rally took place in Blackpool over the weekend of the 28th & 29th of April. 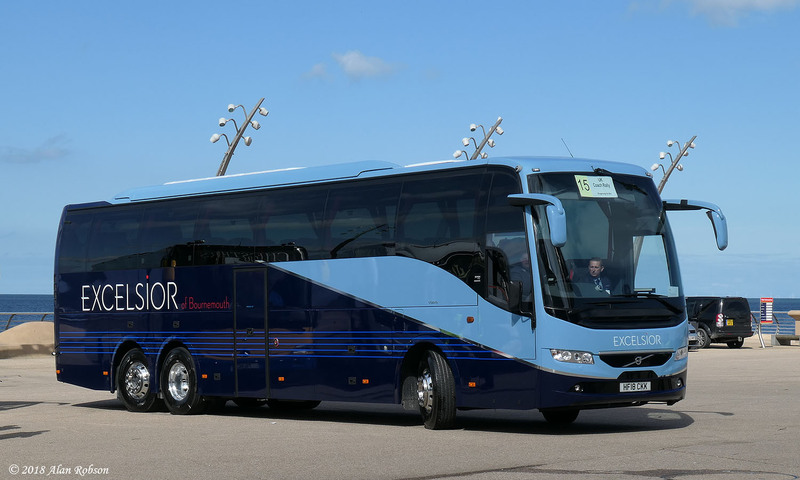 The event consisted of a road run, driving tests and judging over the course of the two days. 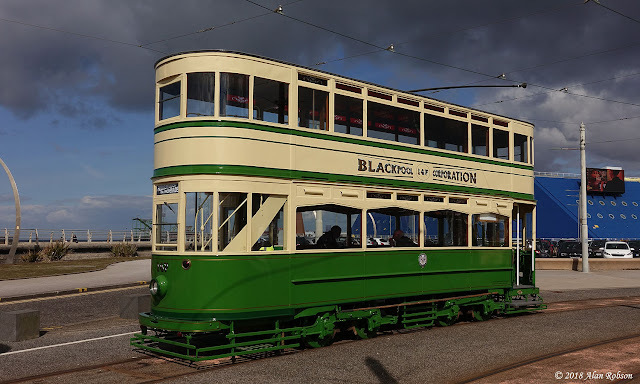 When the coaches weren't participating in an event, they were parked up on either the Tower Headland or the seaward side of the Metropole Hotel near the North Pier. 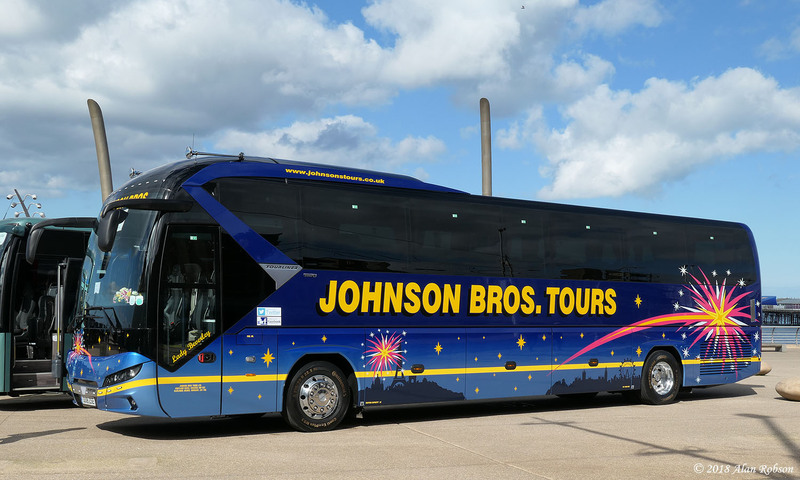 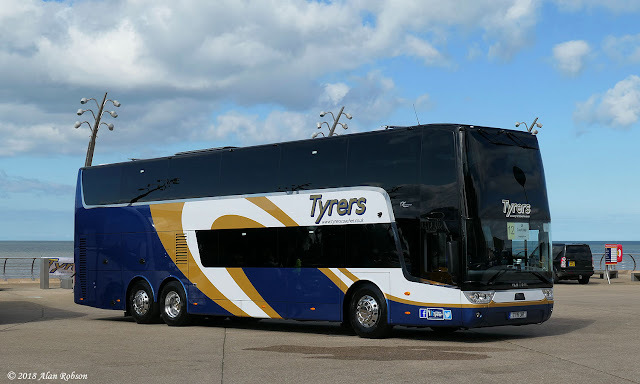 The Coach of the Year award was won by the recently delivered double deck Van Hool TDX25 Astromega of Tyrers Coaches from Adlington near Chorley. 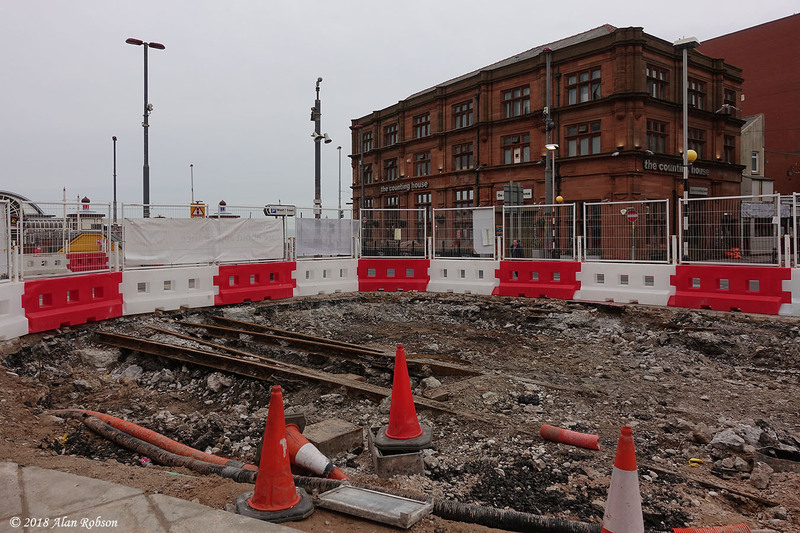 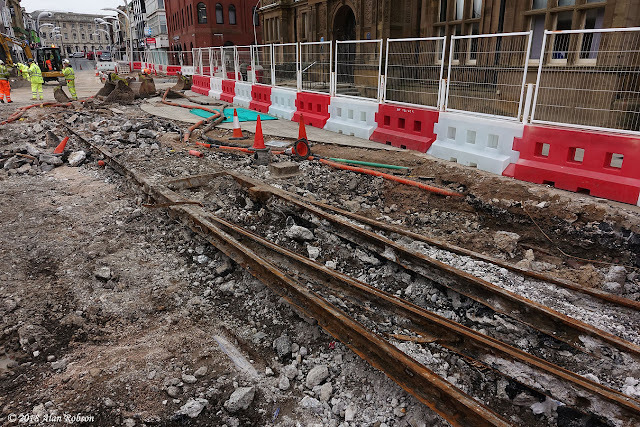 The current road remodelling work at Talbot Square in Blackpool has recently revealed some old tram track. A set of points and short stretch of track from the former Marton tram route has been dug up in front of the Town Hall. 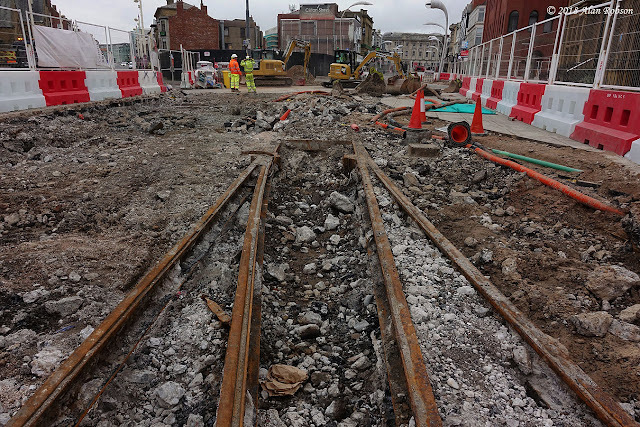 The old track is due to be cut up and disposed of before the road is resurfaced. 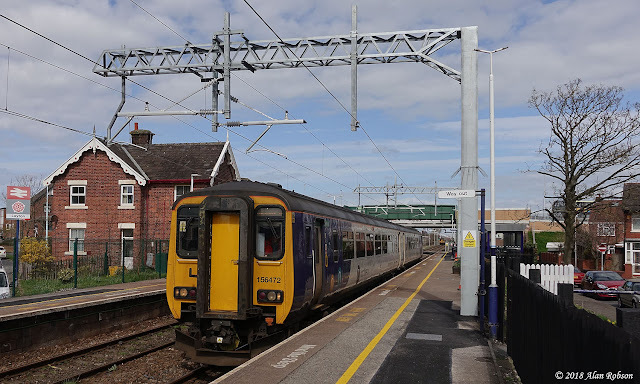 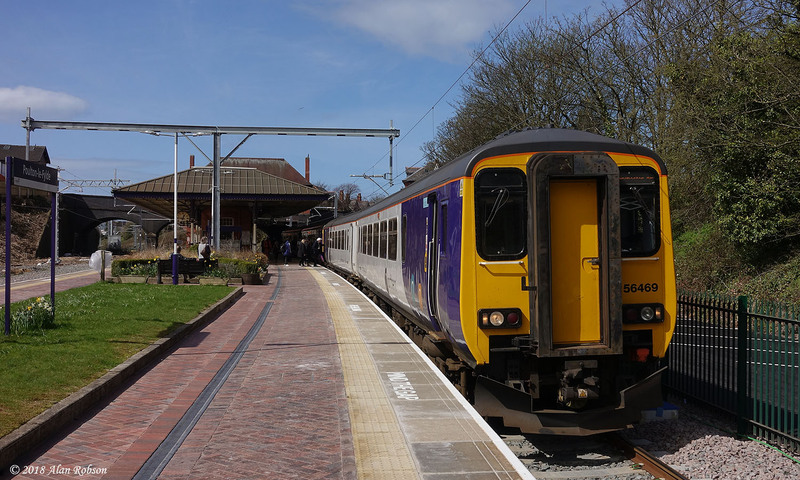 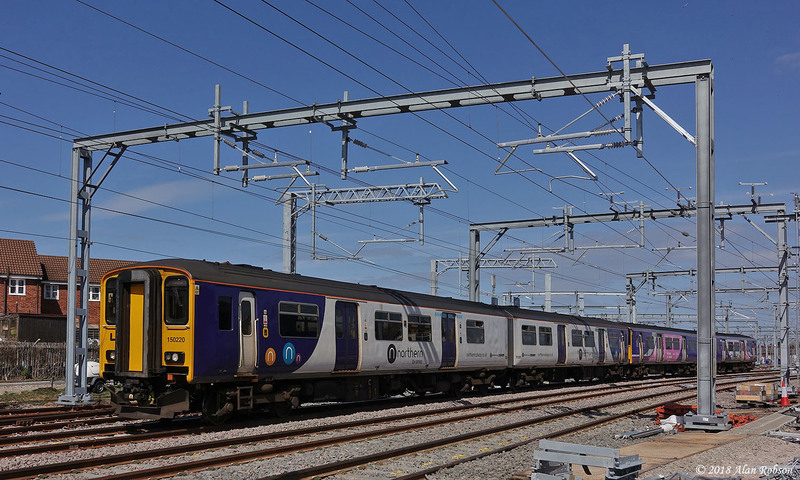 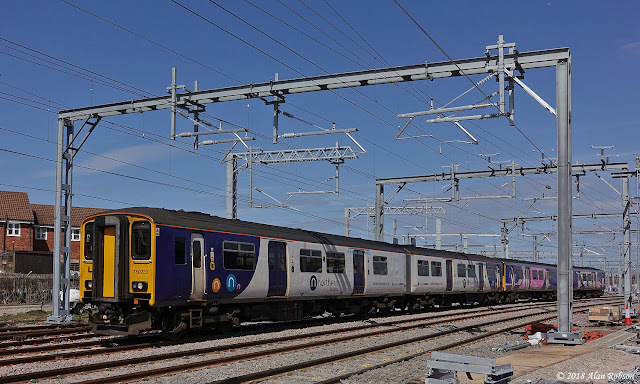 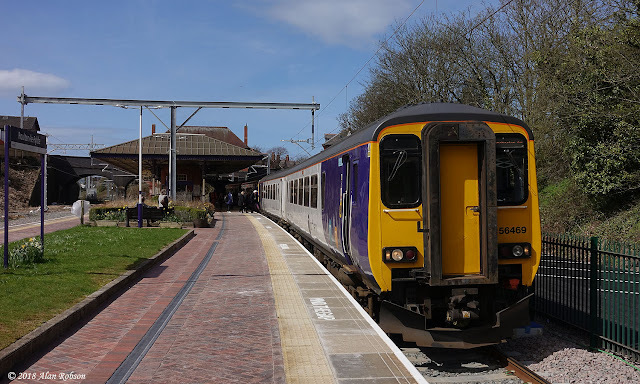 Monday 16th April saw a limited train service resume on the Preston to Blackpool North line, after being closed for several months due to upgrade and electrification work. 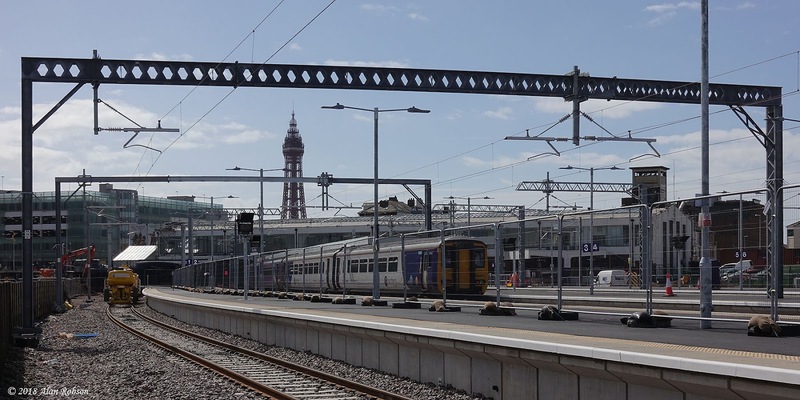 An hourly service is currently being operated between Blackpool North and Manchester Airport, with rail replacement buses still running to supplement the trains. 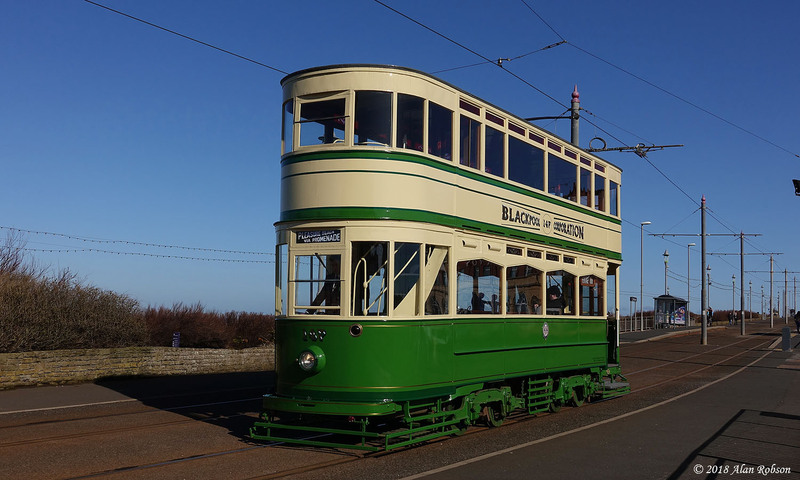 Driver training trains were noted running in between the hourly passenger service. 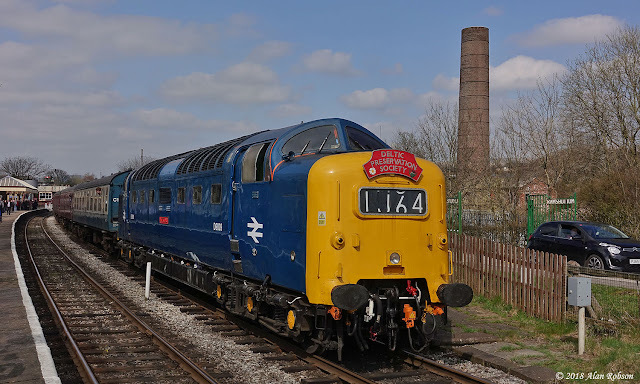 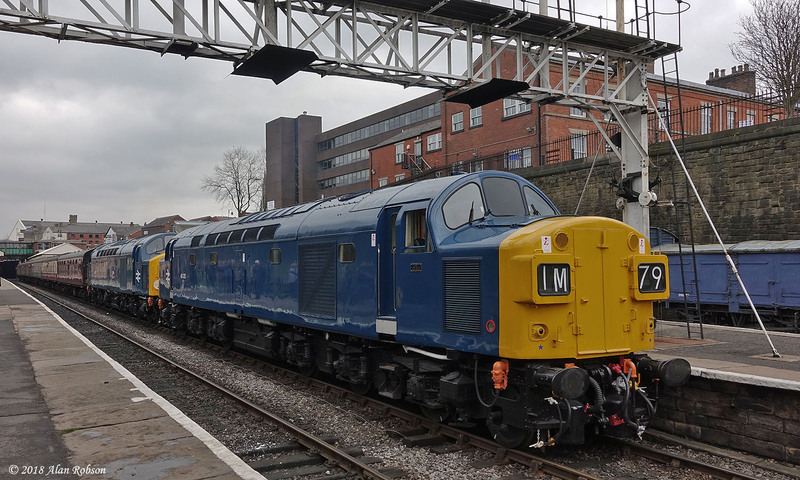 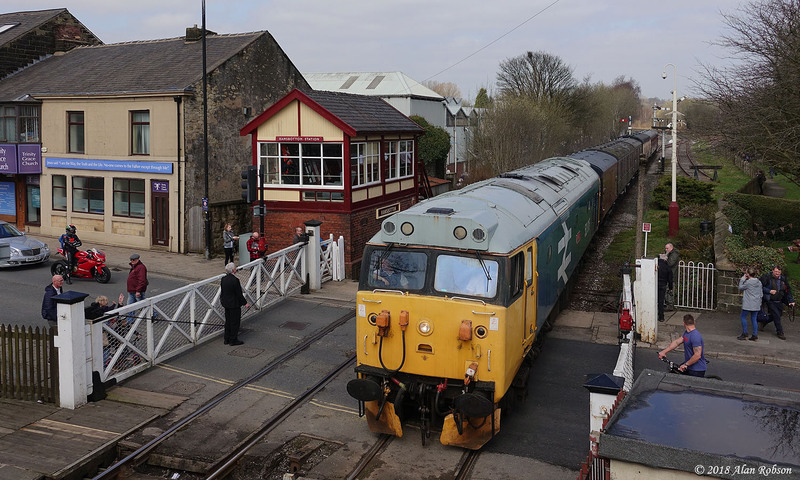 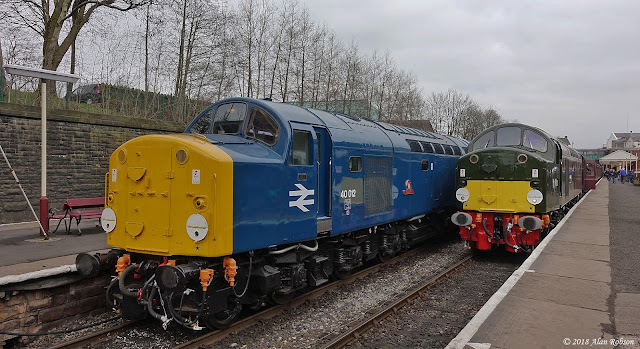 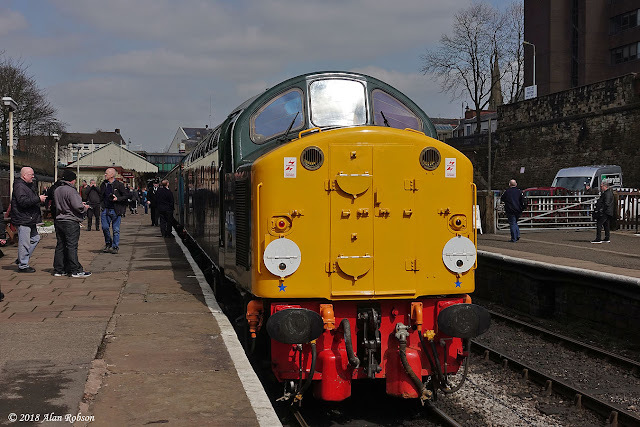 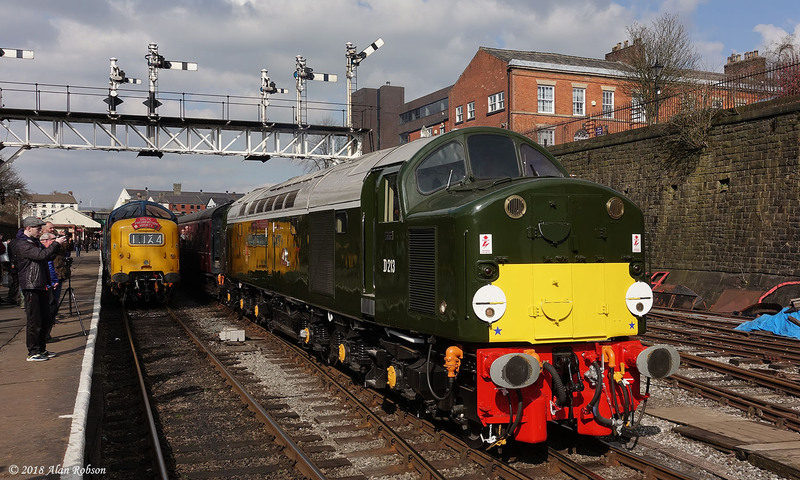 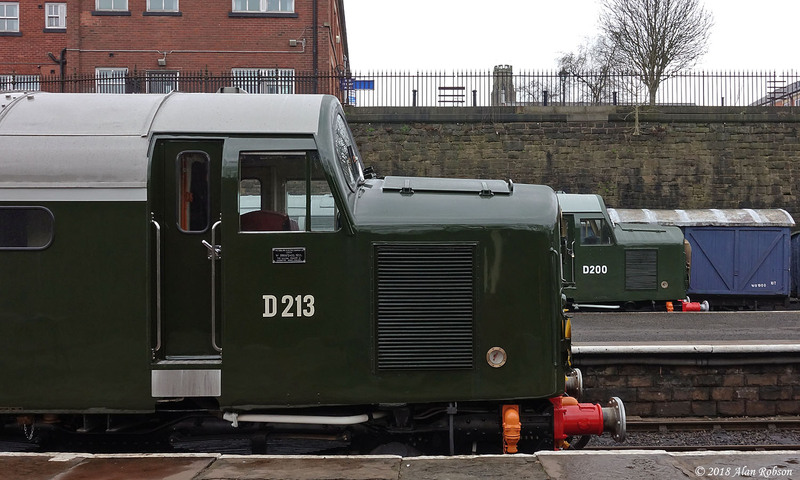 To mark the 60th anniversary of the English Electric Type 4 (Class 40) entering service with British Railways, the East Lancashire Railway held a special three day diesel event from 13th to 15th April. 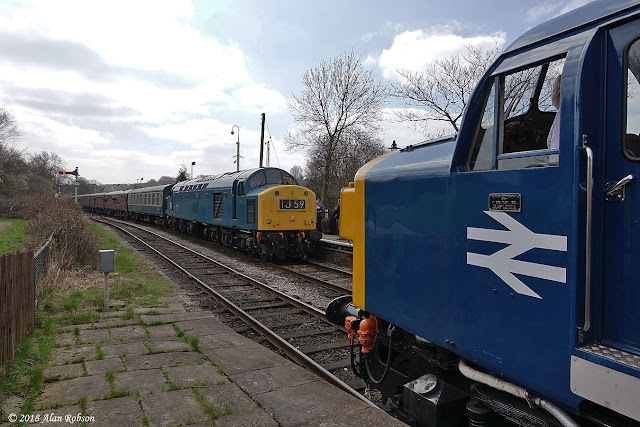 The 40s at 60 event saw five Class 40s in service, supported by a Deltic and Class 50 also. 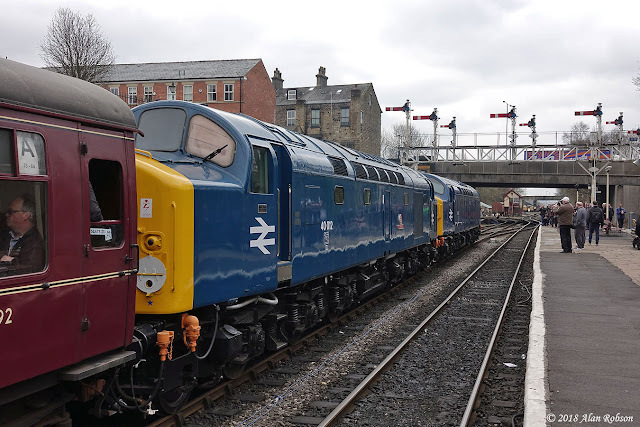 Resident 40s 40106, 40135 and 40145 took part plus 50015 "Valiant", along with visiting locos 40012 "Aureol", belonging to The Midland Railway Trust, D213 "Andania" from Barrow Hill and D9009 "Alycidon" courtesy of the Deltic Preservation Trust. 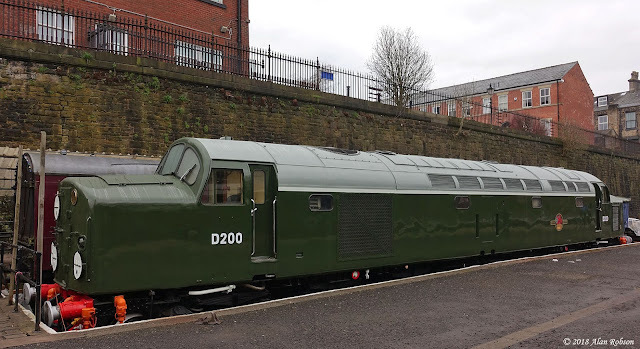 Pioneer Class 40 D200 was on loan from the National Railway Museum at York, and was displayed at Bolton Street Station at Bury throughout the event. Thursday 5th April dawned bright and sunny in Blackpool, and as newly repainted Standard 147 was rostered to be one of the two trams on the midweek Heritage Tours that day, the chance had finally arrived to get some some sunny shots of this tram in action. Newly repainted Standard 147 re-entered Heritage Tram Tour service over the Easter weekend. 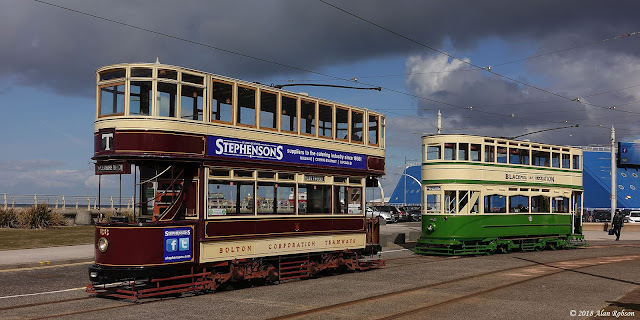 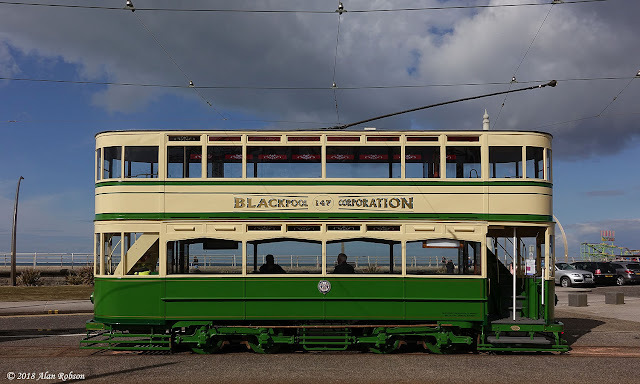 As already detailed on the Blackpool Heritage Tram Tours website, 147 has had quite a lot of remedial work done to it since it returned from its period of loan at Beamish Museum. 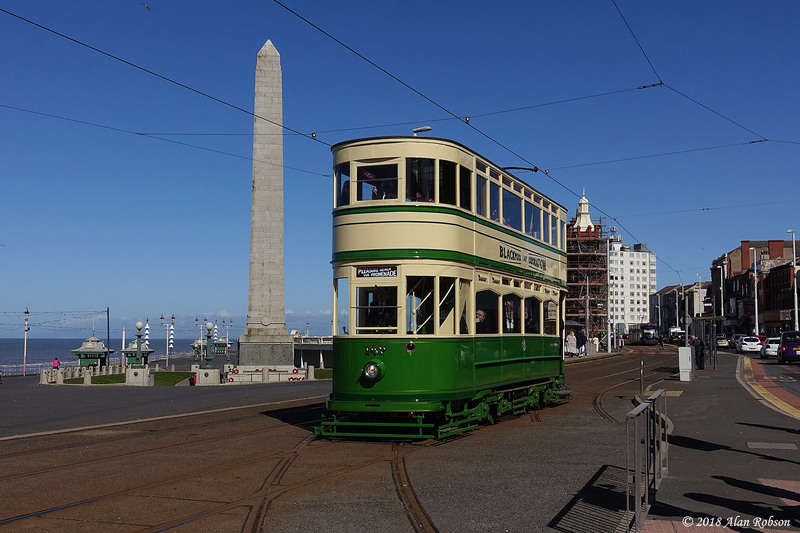 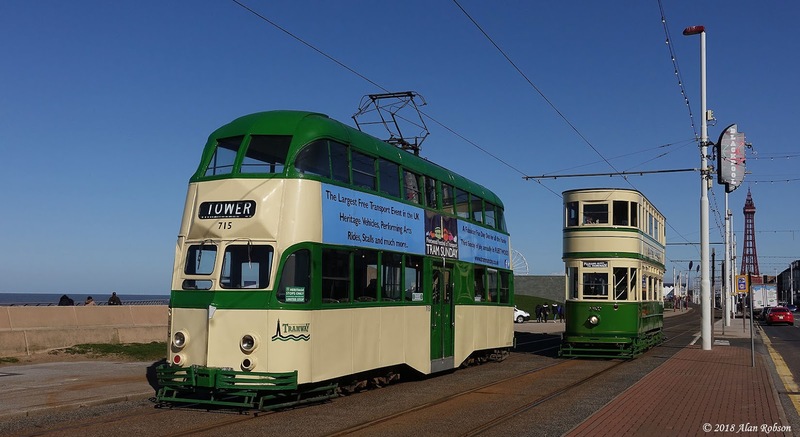 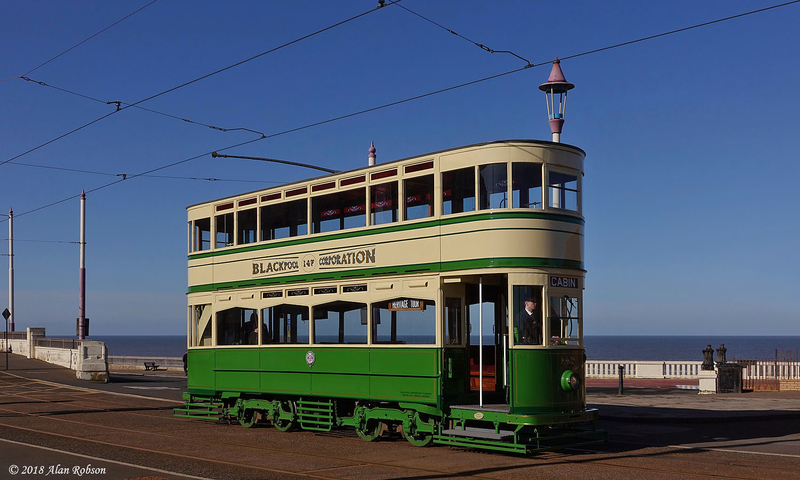 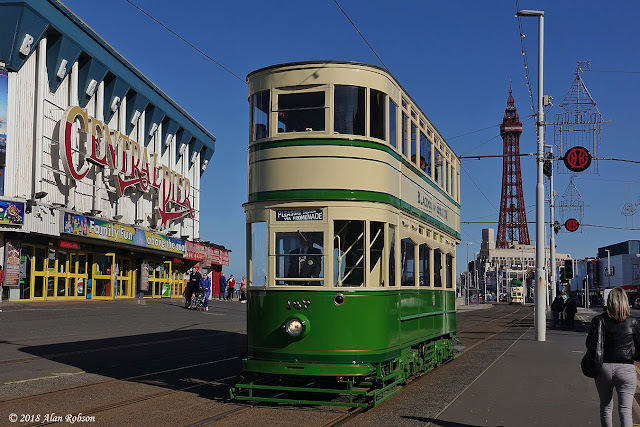 The tram now looks resplendent in the 1930s style of the Blackpool Standard green and cream livery, and is ready for many more years of Heritage Tour service.